Building construction work usually requires scaffolding to be put in place in order to improve the safety for those working on and around the building. This applies if this is on a large scale industrial construction or a smaller domestic maintenance. Safety Netting is usually required when construction or maintenance work is being done on ceilings or at a height within the scaffolding around a building. Safety Netting gives workers that added protection against injury if they should fall whilst working. WHEN AND WHY WE USE SAFETY NETTING ? 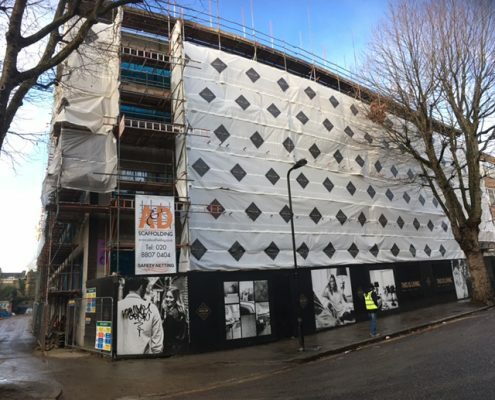 At A&D, Our teams of scaffolders work tirelessly at various locations across the UK. They are hardworking and safety conscious. From early morning until late afternoon our workers will always be the first and last you see every day.